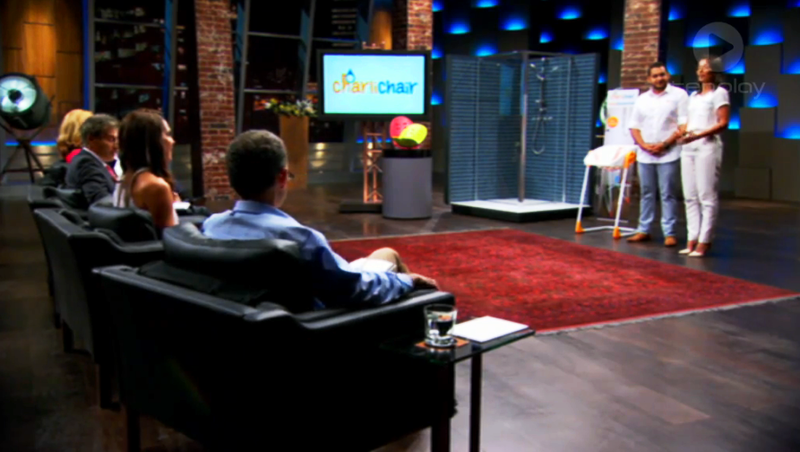 CharliChair is a great Australian invention that is destined for great success around the world, especially since being discovered on the Australian Shark Tank television show on Sunday the 12th April 2015, when presented by an innovative couple, Hani and Meray Yassa. 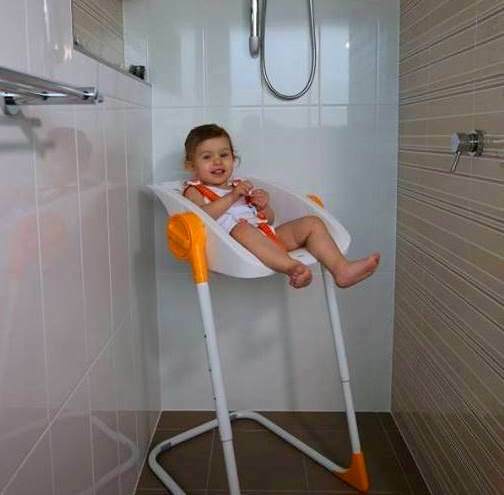 CharliChair is a stress-free and pain-free alternative to bathing infants at a more comfortable safely positioned height, in your shower, rather than the bath tub. The CharliChair allows you the convenience of the three level height adjustment for yourself and the multi-position recline for your baby. 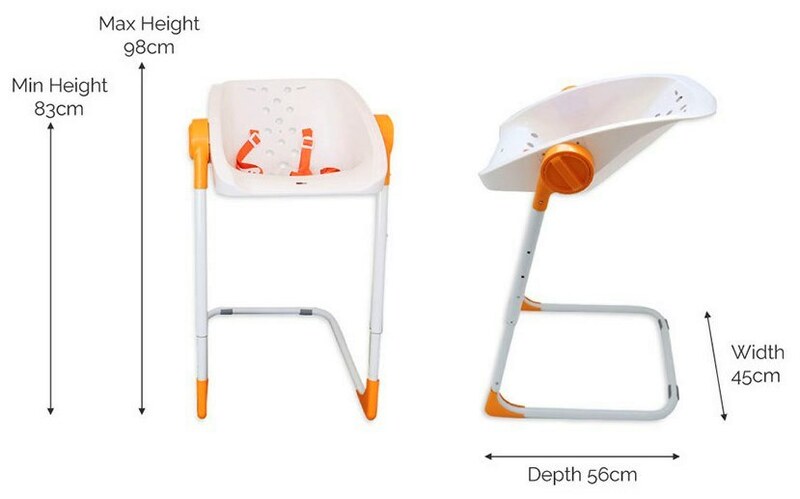 Suitable from newborn up to 17kg. The CharliChair recommended retail price is $119.95, and can be purchased online, or from retail stockists : Babies R Us | My Baby Warehouse | Cincotta Discount Chemist | Cot King Babyland | The Pharmacy & many more to be announced. 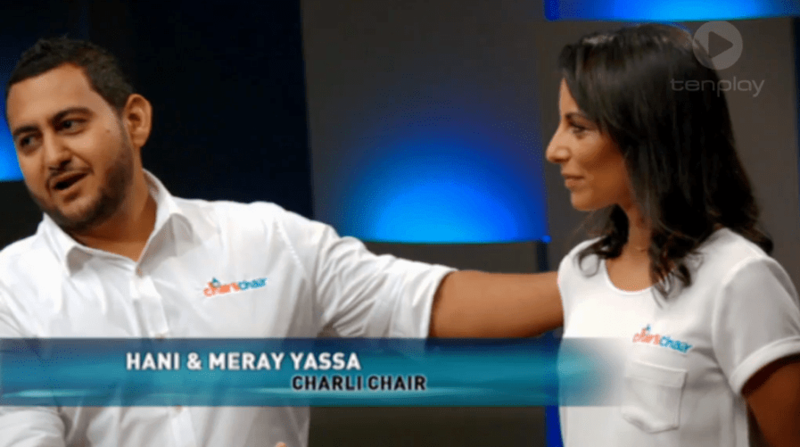 Husband and wife team, Hani and Meray Yassa presented their international patented CharliChair on the Shark Tank television show, on Sunday the 12th of April 2015. They were seeking $200,000 for an offer of 5% equity in their business. John McGrath the real estate magnate made an offer of $100,000 for a 50% stake in the CharliChair business, plus an additional $100,000 loan. After a chat and consideration, Hani and Meray decided to accept John’s firm offer, and become partners with him. 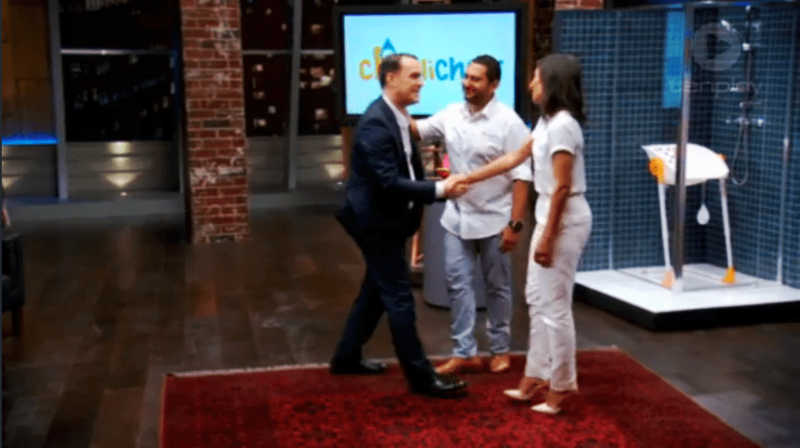 Shark Tank AU – 7.30 SundayThis couple’s invention has one Shark circling – can they work out a deal or will they leave the tank with nothing? Shark Tank is back at 7.30 Sunday!